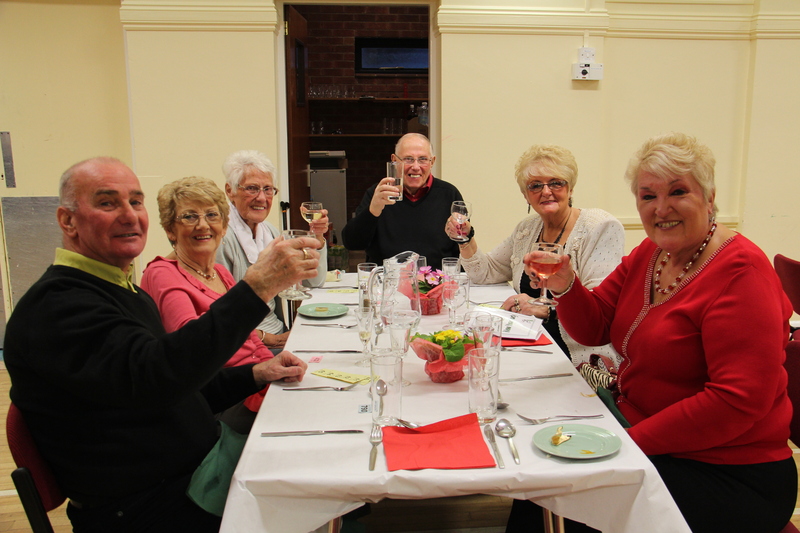 It is a Woodborough tradition that every year the WCA invites anyone in the village who is over 60 for a lovely dinner and entertainment at the village hall. This year (2013) this special event took place on Saturday February 23rd. Next year’s date will be announced soon. Here are some photographs – have a look and see what happens! The food is all freshly prepared by a sub committee and usually includes a meat pie, fresh vegetables, a glass of sherry and later a glass of wine. And there is no charge! We also invite some entertainers to join us and Steve Derry is there as quiz master for the evening. Contact any WCA committee member or call Mavis or Brian Leafe at 0115 965 2528 for more information.